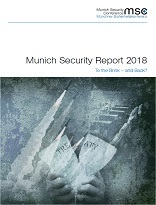 Munich Security Report 2018: "To the Brink - and Back?" For international security, the year 2017 was marked – among others – by signs of a continued erosion of the so-called liberal international order and an increasingly unpredictable US foreign policy. Tensions in many parts of the world have been growing: the rhetoric between the US and North Korea has escalated, the rift in the Gulf has become deeper, not only between Saudi Arabia and Iran, and major arms control treaties are at stake. In the last year, the world got closer – much too close! – to the brink of significant conflict, and we must do whatever we can to move away from the brink. It is in this context that the Munich Security Conference Foundation publishes its annual Munich Security Report (download the report as a PDF here). Under the heading "To the Brink - and Back? ", the Munich Security Report 2018 provides an overview of major security policy issues and features data, analyses, maps and infographics. As a companion and impulse for the 54th edition of the Munich Security Conference, the Munich Security Report serves as background reading for conference participants, but is also made available to the general public. The last report was downloaded close to 35,000 times and received ample press coverage in both German and international media. This year's main topics include the crises of the liberal international order and the impact of the first year of Donald Trump’s presidency. It also looks at the new momentum in European defense policy and the potential impact of Brexit. In addition, the report analyses regional developments in Central and Eastern Europe, Africa, and the Middle East. It also provides insights into the state of global nuclear disarmament and non-proliferation efforts, the issue of environmental and climate security as well as cyber security. Read more about Munich Security Report 2018: "To the Brink - and Back?" There are growing risks and threats to US satellites, civilian and military alike, and challenges to stated US goals in space. The question for the new administration, however, is whether hegemonic means to address those challenges are likely to achieve US goals. It is this paper’s assertion that they are not. Instead, a rebalancing of means used to address US goals in space is now necessary, based on a comprehensive assessment of the strategic space environment through the next ten to twenty years, toward ensuring that the ways and means being pursued to address those goals are in alignment. This assessment must extend beyond the Pentagon as well, to include the rapidly expanding cast of governmental and nongovernmental space actors. In particular, industry representatives should be brought into a process of dialogue with the national space security community to discuss priorities and concerns. Russia is expanding its use of undersea warfare in a broader strategy of coercion aimed at its neighbors, NATO, and the United States. Suspected territorial incursions in the Baltic Sea and provocative patrols in the North Atlantic have not only caused alarm among NATO and partner nations, but have underscored the extent to which U.S. and European antisubmarine warfare capabilities have atrophied since the end of the Cold War. In this report, the CSIS International Security Program analyzes Russian intentions and capabilities in the near to mid-term and the ability of NATO and partner nations to respond effectively to Russian activities in the undersea domain. 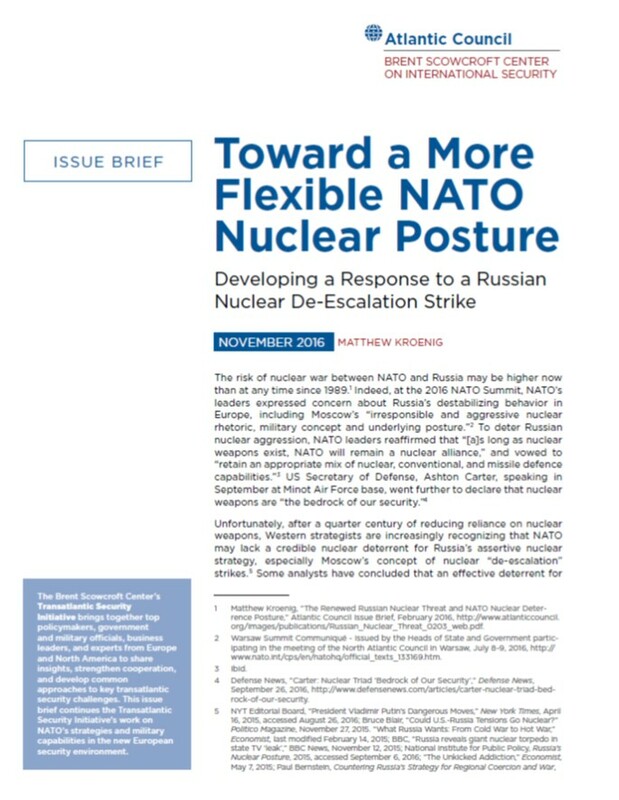 The assessment identifies gaps in current Western organizations, capabilities, and posture and offers recommendations as to how NATO and partner nations can meet the Russian challenge in the undersea domain. Today’s global challenges are developing faster than ever as the world grows more interdependent. Advanced technologies are empowering individuals and organizations in new and unpredictable ways, creating new partnerships but also enabling the rise of new adversaries. A wide array of actors – from non-state groups to rogue states to revisionist powers – are testing these new tools. In parallel, the international system built in the second half of the 20th century is being challenged by emerging regional and global powers, while environmental and other transnational issues have become a determining factor in geopolitics. The resulting complexity and growing number of challenges have made the global security environment more difficult to navigate. It is in this context that the transatlantic relationship is evolving. Despite Russian aggression in Ukraine and growing threats along NATO’s southern flank, many European allies find it difficult to increase their defense capabilities and meet the commitments they made at the Wales Summit. 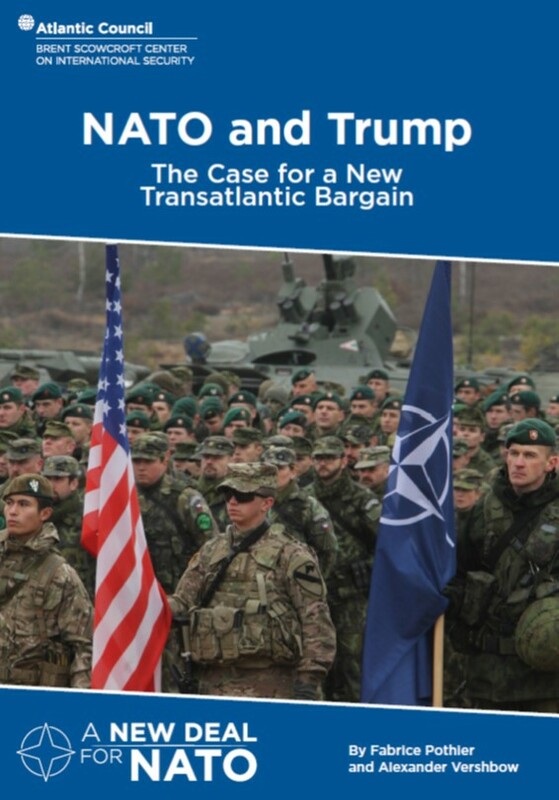 To address this important challenge, the Atlantic Council produced its Alliance at Risk report, which draws together noted experts and former senior officials to examine the vulnerabilities in European defense and provide recommendations on the way forward. The project highlights six leading nations from NATO’s north, south, east, and west, which also serves to illuminate the many perspectives and diverse defense priorities that exists within the Alliance today. Munich Security Report 2015: Collapsing Order, Reluctant Guardians? this report described in the press release as "an annual digest on critical questions and important trends in the field of international security policy." The first section of the report focuses on the roles of international actors, Germany, United States, Europe, NATO, Russia, and emerging powers. The second section discusses three "hot spots"-- Ukraine, the Middle East, and Asia Pacific. The third section reviews major issues such as terrorism, energy security, and refugee crises, and the fourth section suggests additional reading and research materials. Read more about Munich Security Report 2015: Collapsing Order, Reluctant Guardians? EuroDéfense-France s’est interrogée sur l’intérêt, mais aussi les difficultés, les risques et les conditions à satisfaire pour réaliser un livre blanc européen sur la sécurité et la défense. Son travail ne préjuge en aucune manière des résultats d’un tel exercice, qui pourrait conduire à plus d'intégration, ou simplement à un partage gagnant-gagnant résultant d’une subsidiarité bien comprise et appliquée de manière intelligente. -	pourquoi a-t-on besoin d’un livre blanc européen sur la sécurité et la défense? -	quels sont les obstacles à résoudre et les opportunités à exploiter pour le faire? -	comment le réaliser: contenu et processus? -	comment l’exploiter à Bruxelles et dans les capitales? -	Why do we need a European White Paper on security and defence? -	What obstacles have to be overcome and which opportunities can be used to do so? -	How should it be achieved: content and procedure? -	How could it be used in Brussels and in the Member States?